This is one of the best dining set examples for a contemporary room, offering a solution that is not only bright and memorable, but also incredibly time relevant and quite easy to work with. Sets, designed in dark shades, are perfect additions for dining rooms with lights walls or other light furniture units. They will help to make the environment more contrasting. Perhaps, one of the most impressive sets to create contrast would be to go with a black tempered glass table and either matching black or, on the contrary, contrasting white chairs. Some of the perfect dining tablets for a contemporary room will be designed in light shades of wood. If you are looking for something that will not lose its relevance over the years, this is the best fit for you. To create a really snug look in your room, take a look at cosy round tables. They come in many different sizes, yet the thing all of the sets have in common is the sweet homey environment they create. 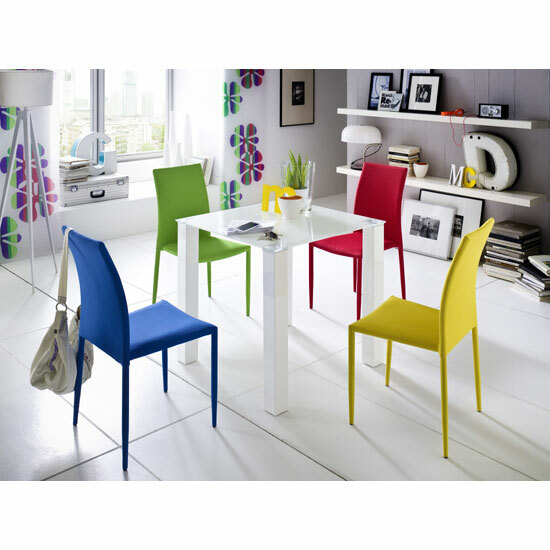 If you would like to emphasise modern accents in the room, go for tables and chairs with slim bases. They give the entire set a flowing and very memorable look. An even more creative idea on table and chair base that can make a statement in your dining room interior would be to embrace X, V, And even Z-shaped bases. 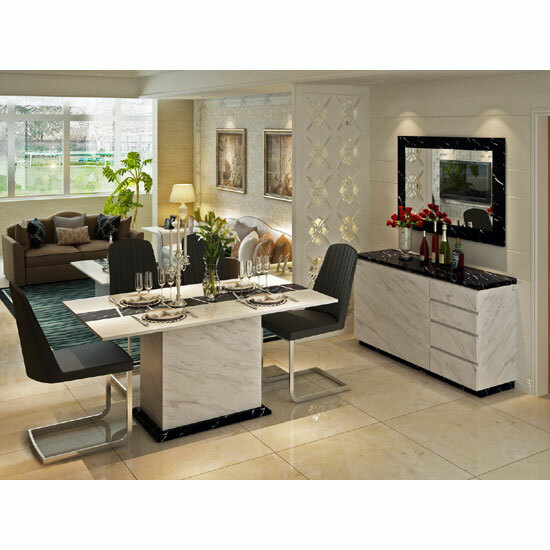 One of the most luxurious ideas for modern rooms would be to explore stone and marble range furniture. 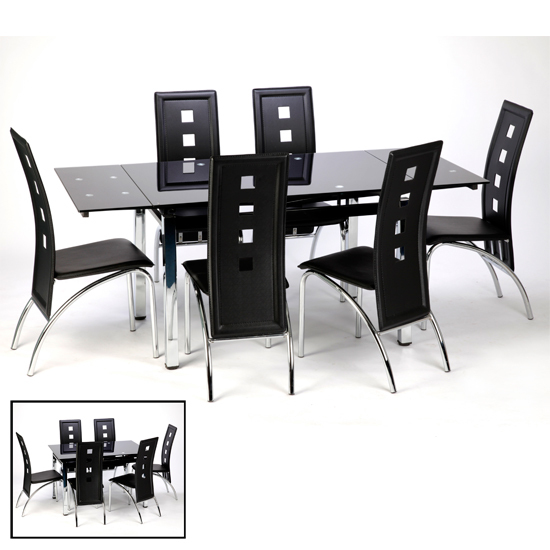 Amazing for spacious dining rooms, these sets will give a luxurious look to your home. Still, high gloss is one of the best, truly perfect dining table sets for a contemporary room. Shiny finish and elegant design are perfect for minimalistic interiors. And, of course, you are free to experiment with different material combinations. 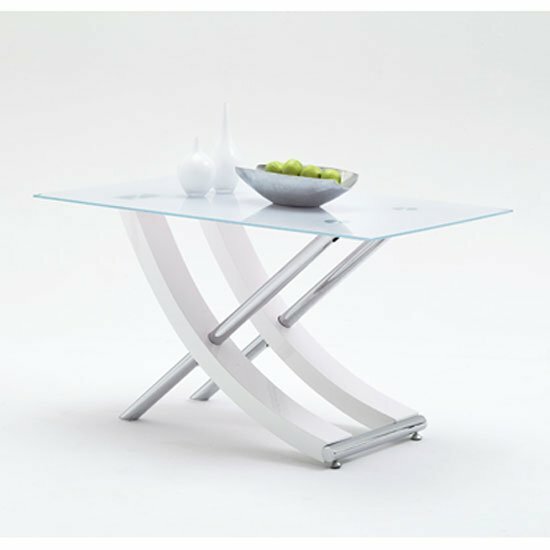 Glass table and high gloss chairs is the most popular blend for modern rooms. Finally, if you are working with a really compact living room or are striving to integrate a dining area into the living room, space optimisation is one of the first things you will be forced to focus on. And here are some ideas on how you can make the area work with compact dining sets.